The gubernatorial candidate of Labour Party (LP) in Kwara state, Comrade Issa Aremu has urged the people of Kwara state to "reinvent statesmanship" as a mark of honour of the late pioneer military governor of Kwara state, Retired General David Bamigboye. 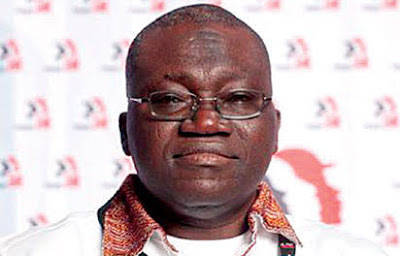 In a condolence message issued in Ilorin, Comrade Aremu said the demise of Brigadier General Bamgboye on the eve of a critical transitional election in Kwara state was "a divine reminder" of "an era of selfless statesmanship". He therefore called on all aspirants for public offices in Kwara state to learn from the bold positive imprints of the former military governor. The Labour Party candidate who is also a NEC member of NLC said even though he was never an enthusiast of military leadership in general, however said there was once "a developing Kwara state that was a pride of all Kwarans" under General Bamgboye . Comrade Aremu listed the achievements of General Bamgboye to include notable sustainable state building projects such as Kwara Polytechnic, Herald Newspaper, Kwara Hotel, Kwara State Secretariat, many public secondary schools, many General Hospitals, offered, Scholarships in higher institutions. He added that Late Brigadier General David Bamigboye helped to build a developmentalist Kwara State which today, suffers huge development deficits due to bad governance. Comrade Aremu stressed further that Kwara state needs state-led development of BAMIGBOYE era.